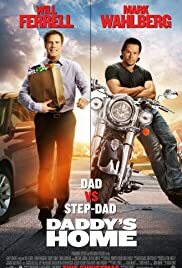 Daddy's Home (2015) tell story about "Brad Whitaker is a radio host trying to get his stepchildren to love him and call him Dad. But his plans turn upside down when their biological father, Dusty Mayron, returns. ".